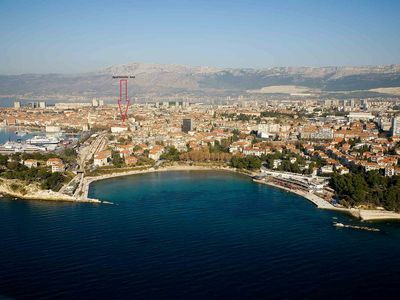 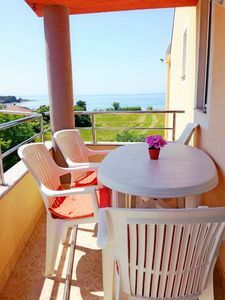 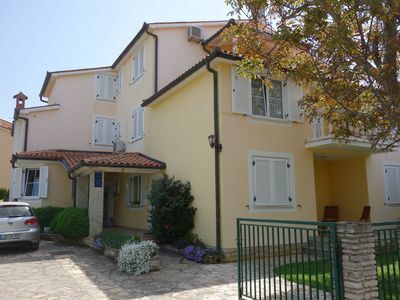 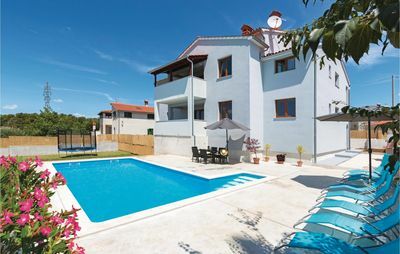 The Bellavista apartment is situated in the center of small and quiet tourist resort of Pješčana Uvala. 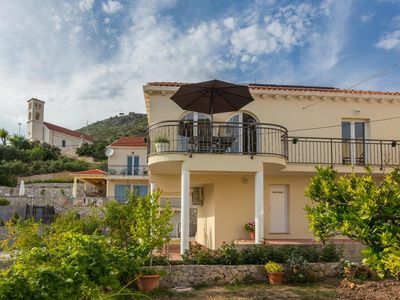 It is just 100 metres away from the sea and has a spectacular sea view. 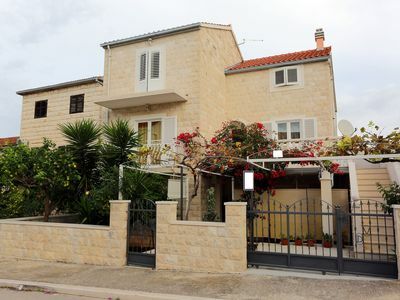 It is situated on the second and last floor of the private house. 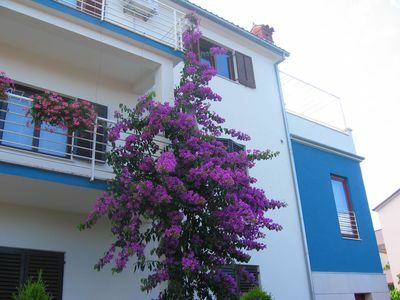 It is a place for those desiring a very special, peacefull and romantic vacation. 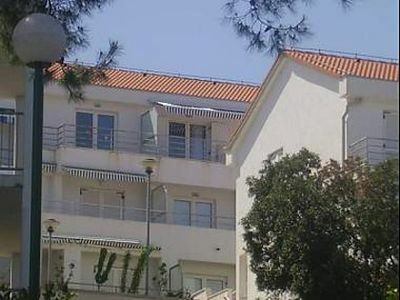 The Bellavista apartment has 98 m2 and consists of 2 large bedrooms, one bathroom, large kitchen/dining and living area where is situated an air condition unit and satelite TV. 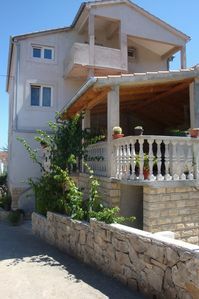 It has large balcony and terrace where you can enjoy throught the day and night. 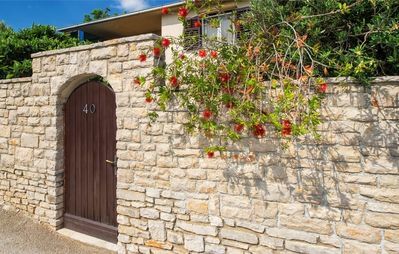 There is also free parking space available in the garden for 2 cars and a common barbecue area behind the house. 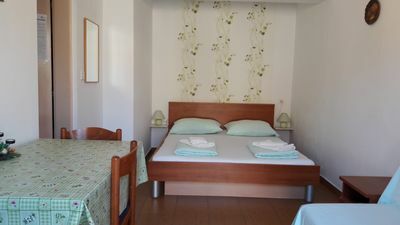 The third room in the apartment is not in use (is private). 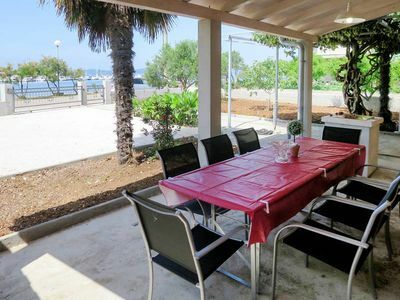 The internet (wi-fi) is free of charge, parking in the private garden too. 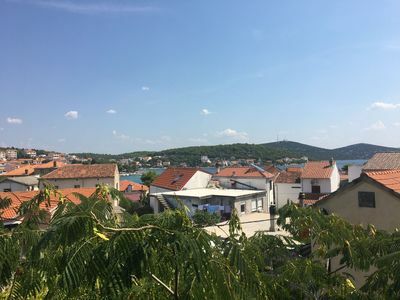 The owner Alenka lives in the city of Pula but will be on site to welcome you. 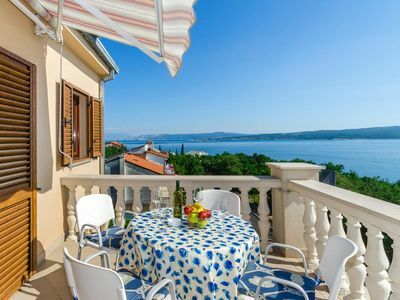 The Bellavista apartment has everything for your perfect holidays.